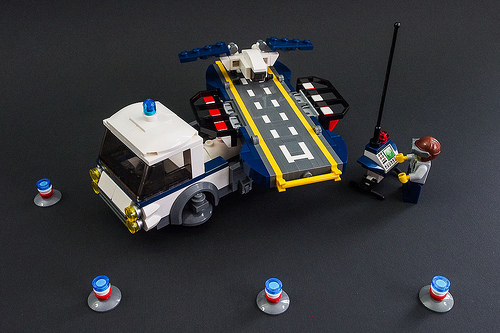 The police state will soon be able to look in on you from the skies, thanks to this creation by Galaktek. The folding, rotating, runway on the back of the truck looks awesome, and fun to play with. It’s like a mini aircraft carrier! The idea of a hovering vehicle, which launches flying vehicles is preposterously fun, too. Make sure you check out the other creations in this series in his photo stream, especially the robot dogs.